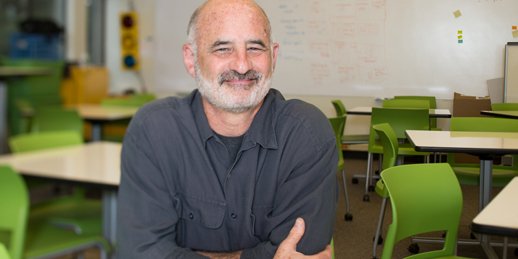 Andrew Davidson is a Senior Lecturer in the Department of Human Centered Design & Engineering (HCDE). Davidson was previously an instructor at Roosevelt High School, where he initiated their computer science program during the 2010–2011 academic year and taught courses on computer science, web design, interactive media, and technology at the high school level. Davidson has been an Affiliate Assistant Professor in the University of Washington's School of Art + Art History + Design since 2006 and has taught undergraduate and graduate courses in the Interaction Design and Visual Communication Design programs. Davidson received a Master of Science Engineering, Computer, and Information Science from the University of Pennsylvania, where he studied computer graphics and perceptual color spaces. He completed graduate work in photography at the State University of New York in Rochester and received a Bachelor of Art in Mathematics from the University of Rochester. In addition to teaching in and managing numerous academic programs in the US, Davidson also chaired an academic program in Italy at the Interaction Design Institute of Ivrea and the Media Design Program and Digital Media Department at the Art Center College of Design. Beyond academia, Davidson has worked in the technology industry; he was Director of Engineering at Philips Interactive Media in Los Angeles and Director of New Media Applications at Microware Systems Corporation in Santa Monica. He has more than 20 years of experience as an educator and more than 30 years of experience working in the technology industry.